Founded in 1965, the United Nations Development Programme (UNDP) has diligently served the world - providing aid to more than 170 impoverished countries. It stands as a beacon of hope and a call for change, helping to create sustainable solutions for economies and social policies alike. Ford is a proud contributor to the UNDP campaign, sending fleets of F-150s to regions in need of mobile support (including evacuations, ration and supply deliveries, medication deliveries, and more). Now it further embraces the policy of goodwill - fusing its F-Series with drone technology to improve emergency land assessments. According to Popular Mechanics, Ford is partnering with renowned drone manufacturer DJI to create a new system for the UNDP. This system will employ a quad-copter platform, blending camera sensors with smartphone connectivity to effortlessly survey natural disaster sites - identifying potential concerns for transportation teams and even assisting in the recovery of men, women, and children. The drone will travel with the F-150s, launching from cabs when needed and delivering short-range support. This will allow UNDP teams to more effectively define their emergency plans and achieve faster response times. Through advanced technology Ford, DJI, and the UNDP can improve the world. To learn more about this and other F-Series technologies contact us! Efficiency isn’t an oft-used description for the Ford F-150. Consumers and critics celebrate its power, its performance, and its best-in-class trailering. Economy, however, is rarely considered. With the introduction of the Auto Start-Stop system this may soon change. According to Kelly Blue Book, Ford will soon standardize the Auto Start-Stop system for its 2017 F-150. This system delivers improved efficiency, automatically stopping the engine once the brakes are engaged to reduce emissions, save fuel, and optimize overall performance. It’s intended as a complement to the EcoBoost platform. That intention proves successful, with the Auto Start-Stop system bolstering mileage results between six percent and eight percent (as reported by AutoBlog). 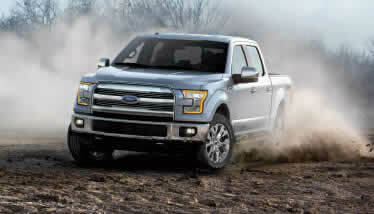 This will have a massive impact on the industry, with the top-selling F-150 creating a generation of economical drivers. Fuel demands will decrease, while performance remains high. With the release of the 2017 F-150 Ford creates a masterclass in engineering - delivering twin-turbo performance and aluminum construction. The inclusion of Auto Start-Stop simply enhances the experience. To learn more about this feature contact us today! Few marques prove as enduring as Harley Davidson. Since 1903 this manufacturer has dominated North American highways, delivering V-Twin engines and signature Hog styling. It’s survived decades of economic uncertainty, transitioning from the Great Depression of 1929 to the Great Recession of 2007; and its dynamic platforms have made it one of the most popular brands in the world. No critics claimed surprise, therefore, when Ford announced a partnership with Harley in 2000 - creating a line of F-Series SuperCabs and pairing supercharged engines with customized badging. This fleet of F-150s topped the charts for more than a decade, gaining a loyal following among drivers and cyclists alike. Now a rare Harley Davidson F-150 is to be auctioned off by the famed Barrett Jackson house! According to Fox News, comedian Jay Leno recently donated his 2000 F-150 to Barrett Jackson. The pick-up - a 5.4L V8 supercharger, generating 360 HP - was the first of its kind. Its flare-side shape belonged exclusively to Leno for almost an entire year before the Harley Davidson line was officially launched, and it represents a unique moment in the brand’s history. It’s expected to inspire considerable interest... and considerable cash, with drivers already revving toward the Scottsdale auction site. We wish we could be there. This F-150 is sure to be the showcase of a world-class event - and the bids are going to soar. To learn more about the Harley Davidson F-150 (as well as other F-Series models) contact us today! 2015 was the year of the F-Series. Anchored by tremendous F-150 sales, this Ford line-up dominated dealerships and charts alike, roaring past the competition to a staggering 780,354 units. Could that record-breaking number be shattered in 2016? It’s possible - because the F-150 Raptor is coming! According to Digital Trends, Ford recently premiered its 2017 Raptor SuperCrew, offering drivers a sneak-peek at this year’s ultimate off-roader. This V6 beast should ignite sales across North America, delivering a 3.5L turbocharged engine and a more responsive 10-speed transmission. Fox shocks ensure all-terrain performance, while the spacious interior promises a more comfortable riding experience (passengers can now utilize an extended cab and four-door configuration). The most intriguing Raptor feature, however, is its Terrain Management system. With six custom settings - including Sand, Rock, and Street - this software allows the truck to instantly assess (and adapt to) changing environments. Drivers can now transition from urban centers to muddy backroads with ease. In an interview with Maxim, Global Director of Ford Performance Dave Pericak said: “With the addition of SuperCrew, F-150 Raptor customers can leave the pavement behind – without sacrificing comfort and space.” Have truer words ever been spoken? To learn more about the 2017 F-150 Raptor SuperCrew - as well as other F-Series models - contact us today! Adaptability defines the F-150. Since its arrival in 1975, this pick-up powerhouse has connected drivers to enhanced trailering, towing, and payload capabilities - accommodating every all-terrain demand with ease, shifting its focus from work to play. It’s become a staple of the North American highway. With the release of the Pro Trailer Back-Up System, Ford seeks to further improve the F-150’s adaptability - enabling drivers to more easily control their experiences. Check it out! The Pro Trailer Back-Up System allows F-Series fans to more efficiently (and more effectively) chart their courses. Through a series of software platforms - including sway controllers and dynamic hitch assistance - it automatically assess, adjusts, and responds to the environment. This allows for streamlined trailering. It also takes advantage of the current F-150’s best-in-class performance. For 2016 Ford delivers up to 9,000 pounds of towing and 2,320 pounds of payload, accommodating even the heaviest hauls. It offers all-purpose functionality and superior results. The Pro Trailer Back-Up System simply improves those results. To learn more about this and other F-Series technologies contact us today! Power, performance, precision - these are the words offered by critics and drivers alike when describing the F-150. Ford’s signature truck is lauded for its exceptional towing and all-terrain adaptability. It’s become North America’s definitive pick-up. The 2016 model, however, will soon become the smartest pick-up. Ford is the first pick-up provider to offer these features - and its 2016 F-150 has revved toward new tech territory, earning recent recognition as the Best Overall Truck Brand. To learn more about the 2016 F-150 (along with other F-Series options) contact us today. For more than three decades, the Ford F-Series has dominated the North American market. This line-up of pick-up performers has generated extraordinary sales, effortlessly revving past the competition. It will soon do this again - thanks to the efforts of the 2015 F-150. According to the New York Daily News, the 2015 F-150 is the top-selling truck of the year. Despite a shaky start - with drivers initially questioning the value of aluminum construction and production lines unable to meet mid-quarter demands - this pick-up has roared to front of the chrome-colored pack, with sales nearing the 700,000 mark! This is staggering, especially when compared to its nearest competitors (the Silverado, with approximately 537,000 units; the Ram, with approximately, 407,000 units). Ford reigns supreme. The Novlan team isn’t surprised. We’ve long since celebrated the 2015 F-150, noting its enhanced performance and best-in-class results (including 12,200 lbs. of towing and 3,300 pounds of payload). This full-size option delivers impressive power. It’s no wonder that it’s helped to lead the pick-up market to a record-breaking year. The New York Daily News also noted that sales should surpass 2.2 million - making this the best segment since 2007. That's quite the achievement... and it's one only Ford could earn. To learn more about the 2015 F-150 (as well as other F-Series options) contact us today! Will Ford Premiere A Hybrid F-150? Atop Mount Ford sits the F-150 - the only pick-up able to scale treacherous sales curves, dominate rocky marketing campaigns, and ascend consumer verticals. This truck has reigned supreme among the North American market for more than 30 years. It’s created a high standard in performance. It’s about to create an equally high standard in hybrid technology. According to AutoBlog, Ford will soon launch a hybrid F-150. The company - which recently announced plans to invest $4.5 billion in electric and plug-in platforms throughout the next five years - intends to introduce its beloved pick-up to a new audience. It will combine EcoBoost precision with a rear-wheel drivetrain, delivering improved economy and undeniable results. A hybrid design isn’t the only change coming to the F-150. AutoBlog also noted recent testings of a turbo-diesel model, with Ford utilizing the power of a Lion V6 to increase overall efficiency and speed. This engine, when combined with the model's new aluminum framing, should generate 245 HP, 443 lb.-ft of torque, and more than 30 MPG. We’re excited - aren’t you? Ford is redefining its signature pick-up. With the use of hybrid and diesel technology, the F-150 will become a more effective option for all drivers. 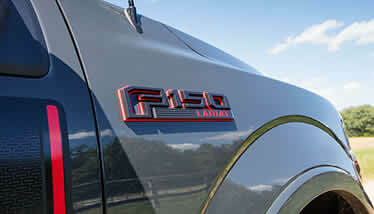 To learn more about the F-150 - as well as other F-Series options - contact us today! Haunted houses, abandoned lots, spooky patches of woods: these once were the sites of horror stories. Now they're being replaced. As you stand at the fuel pump - watching the numbers steadily rise - you realize that the gas-station serves as the great nightmare-scene. These prices are truly frightening. Ford agrees. This is why it’s bringing diesel power to the 2017 F-150. According to PickupTrucks.com, Ford will soon premier a TurboDiesel F-150. This model - which is predicted to arrive in late 2016 - will deliver greater economy. By combining a 10-speed automatic transmission with 3.0L Lion engine, it will utilize every drop of fuel to its fullest advantage. This will ensure fewer stops at the pump... and less money wasted. Want to see the 2017 F-150 TurboDiesel in action? Check out these exclusive spy shots, as provided by AutoBlog. Though they (sadly) don’t offer any interior views, they do showcase the truck’s rugged lines and extended wheelbase. It looks like Ford is bringing another V6 beast to North America. To learn more about the 2017 F-150 TurboDiesel - as well as other F-Series models - contact us today. With the release of the 2015 F-150, Ford has redefined the automotive world - introducing critics and consumers alike to aluminum construction, EcoBoost performance, and enhanced payload capabilities. The pick-up has become a powerhouse on the charts, generating strong acclaim across North America. It’s also piqued the interest of sport-tuners, with companies gleefully taking apart the engine and fusing it with new technologies. SuperChips is one such company. These specs reveal an incredible performance, with the 2015 F-150 revving up to best-in-class speeds. Combine that with SuperChips’ Flashpaq tools (which enhance overall towing, hauling, and shifting) for a smooth ride on even the roughest roads. This is the ultimate pick-up mod. To learn more about the 2015 F-150 - as well as other F-Series options - contact us today.